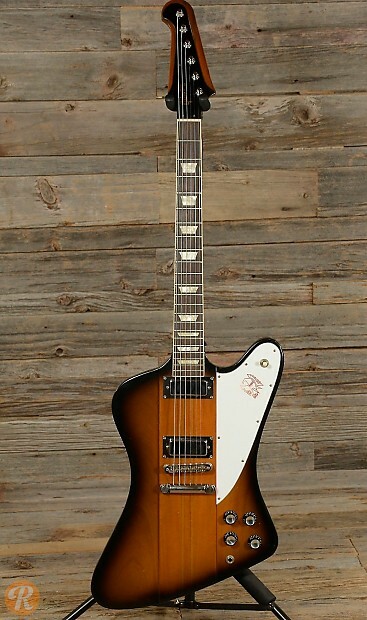 Gibson first reissued the original non-reversed Firebird V in 1990. 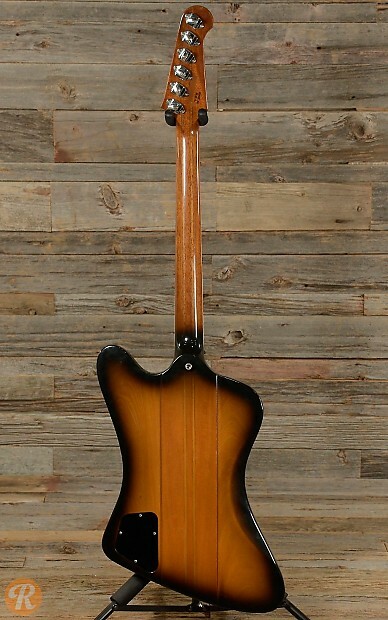 This model was redesigned in 2010 with different tuners. 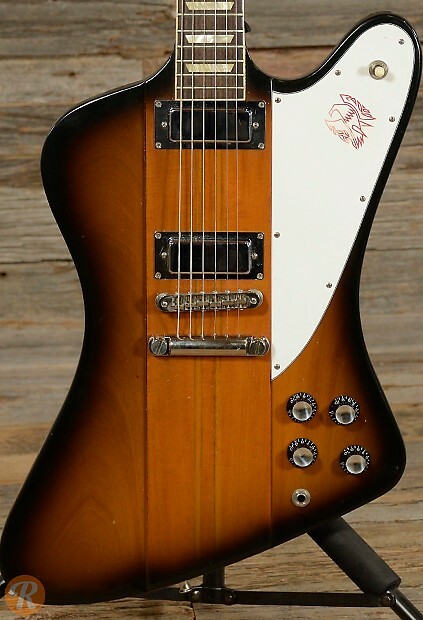 For more on the original Firebirds see this article on our blog.